These are my graphic novels/comic books currently available. Check below for information about each book! 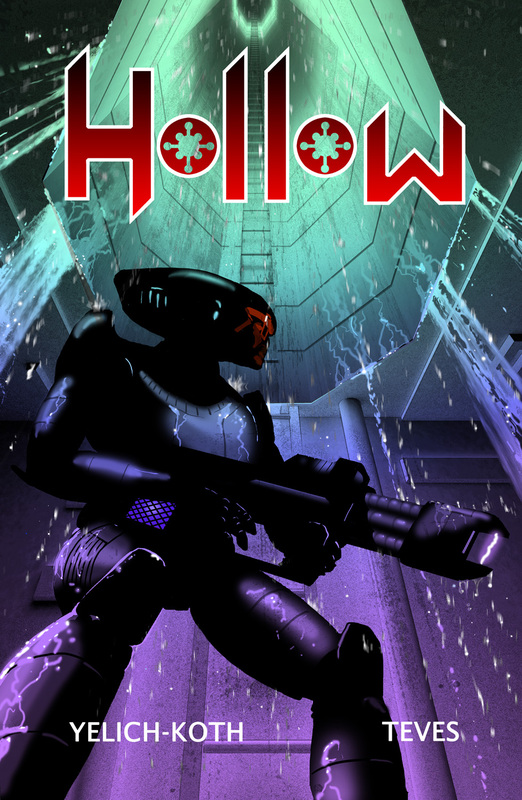 HOLLOW is a graphic novel. 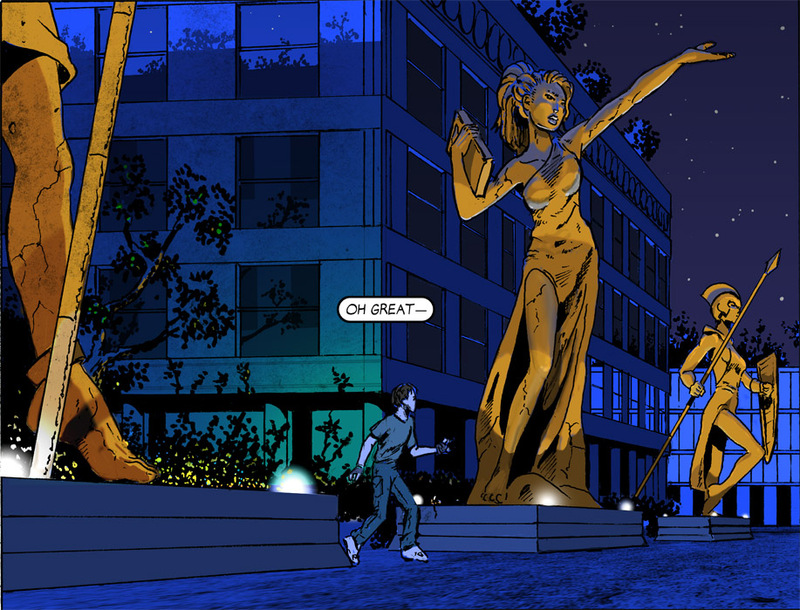 HOLLOW’S PRISM is the comic book follow-up series, complete at 6 issues. Purchase any of my comics HERE! 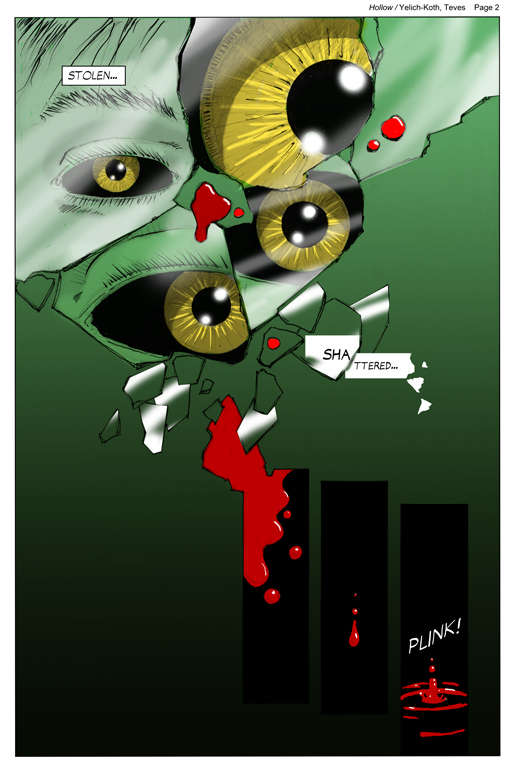 Finished my first graphic novel entitled “Hollow” with illustrator Conrad Teves. 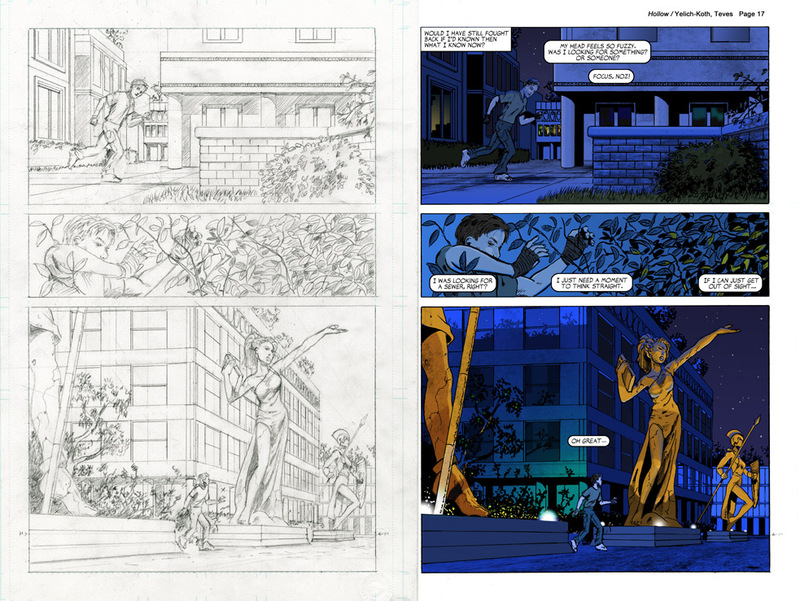 It is a science fiction story that uses traditional line art enhanced with digital toning. Noz awakes with blood on his hands. He has just murdered a spy who disclosed the location of his rebel encampment. It won’t be long before the aliens that conquered his planet find his team. But as he heads back, he is conflicted. Is he doing his world a favor by restoring their memories? What good is free will if you use it to destroy yourself and those around you? Under the memory-alterations of the aliens, Noz’s people are happy, productive, and ignorant. Are they better off that way? Noz must decide. And he’s running out of time. The sample picture below depicts our hero, Noz (on the left) with fellow team members hiding in the sewers from an alien invasion force. 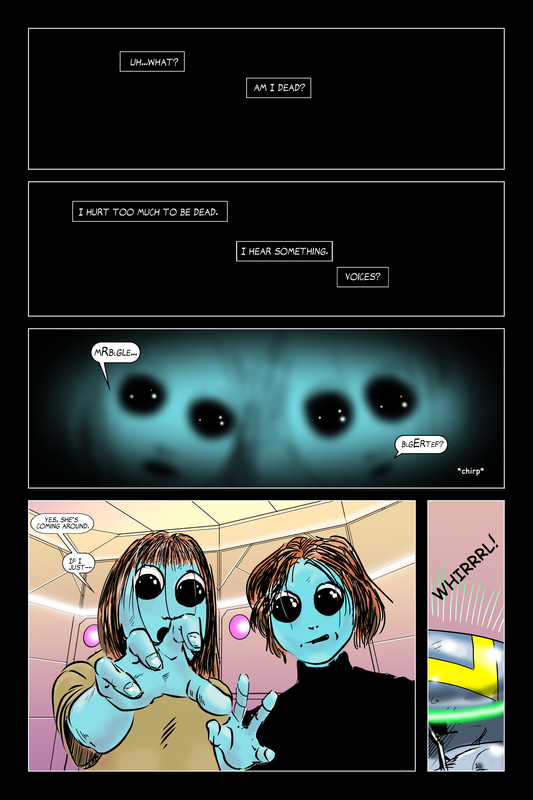 Posted below is page 2, in which Noz is awaking from a nightmare into a reality just as terrifying. Thenn has spent 5 years fighting the tyrannical Chears, only to be mutinied by the crew she trusted, and left for dead on a trash-dump of a planet. Without food or water, Thenn has no hope to survive, and knows she will die—forgotten and alone. 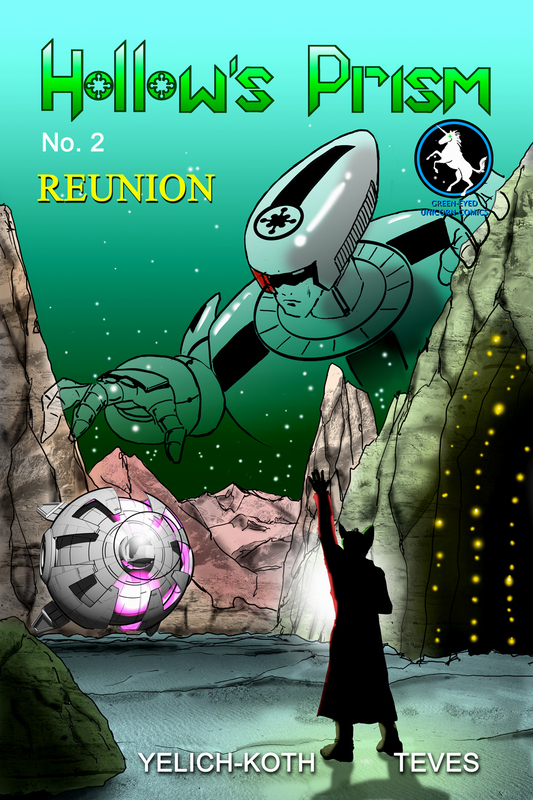 NOW AVAILABLE ON COMIXOLOGY FOR ONLY $0.99! CLICK HERE! 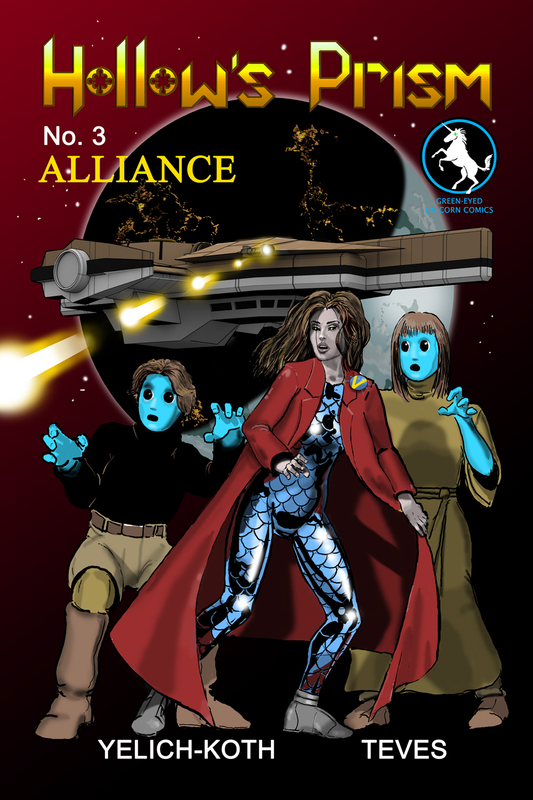 Salia and her brother have fled their homeworld, which has been claimed by the invading Chears. They are on their way to a new world—one untouched by Chear control. But a news broadcast about a group of rebels reveals someone from Salia’s past–someone she’s never met, but who changed everything. NOW AVAILABLE ON COMIXOLOGY FOR JUST $0.99! CLICK HERE! Thenn lost her home planet of Thor Haz to an invading Chears army. 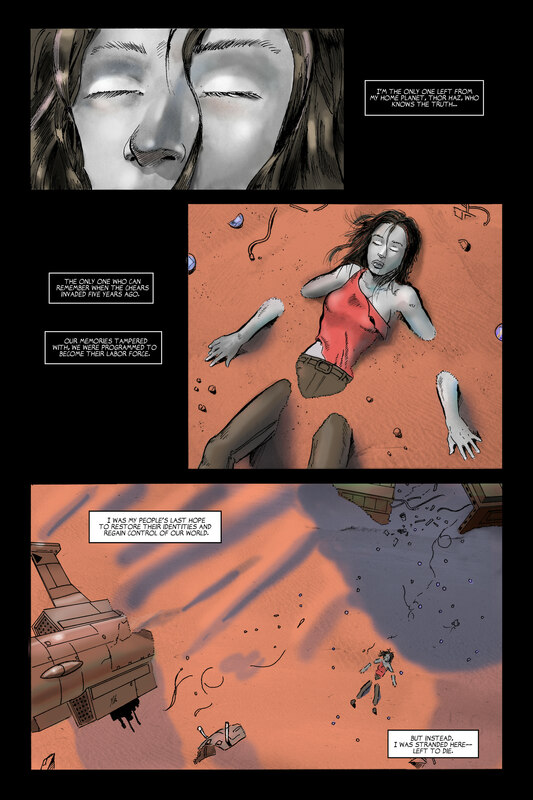 She was left to die by her crew on a deserted planet. Rescued by two teenagers running for their lives, Thenn thought she’d found a place to live her life in safety. Thenn has done what was necessary to stop the memory-erasing Chears. She has learned to fight. Befriended tiny mechanical tinnybots to survive. Even allied with the enemy. But the final information needed comes from a source Thenn could never have imagined. Will she be able to let go of her anger? Or will this be the one wild card that finally breaks her? Thenn and her team have been trying to find a way to defeat the Chears. They’ve allied with the enemy. They’ve worked with a traitor. They’ve even stolen Chear technology to determine a weakness. Well I definitely don’t want your stomach to hurt! But I’m glad it enticed you! This panel looks great! I think the digital aspects are working well. Oo… I hope we can see some sample art soon…..
can’t wait to see how this turns out. very excited! I’m way excited about this piece! It is a great story.